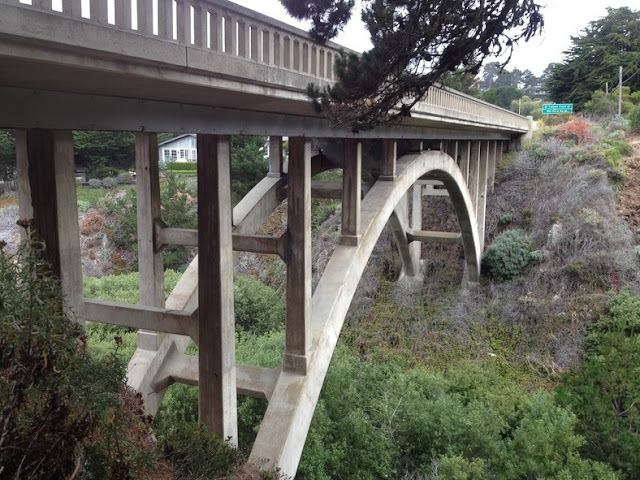 Arch bridges were once quite popular in California. 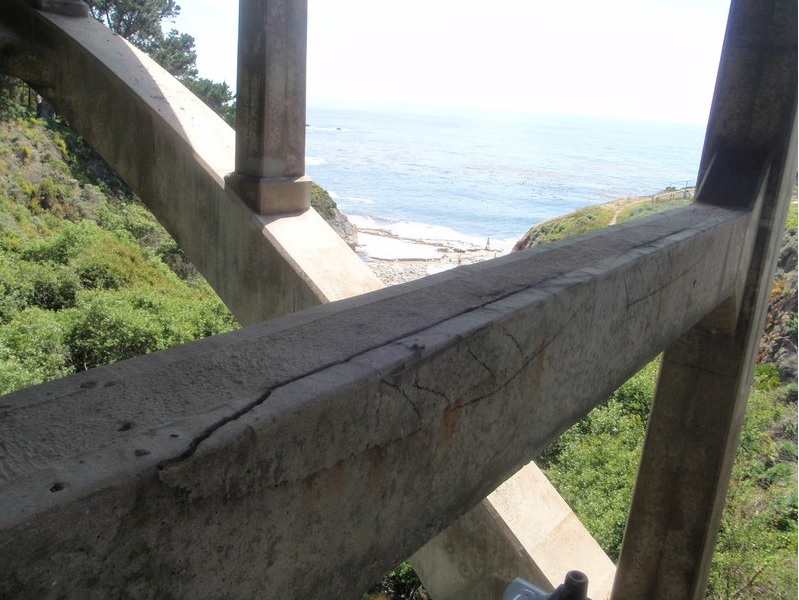 However, precast concrete allowed engineers to design longer spans and arch bridges became uneconomical in most situations. The Malpaso Creek Bridge is 210 ft long with a single open spandrel arch span that was built in 1935. 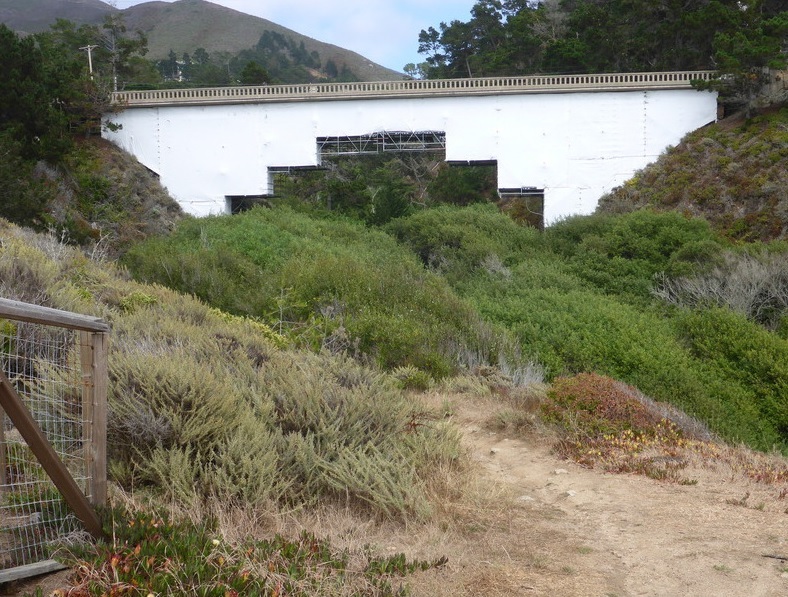 Like the other arch bridges along the coast, the Malpaso Creek Bridge was recently repaired due to corroded reinforcement and spalling concrete (see photo above).